The juice of the Nandiavata Poo (crepe jasmine) is used to treat 99 types of eye problems. If you have diseases of the eyes you can try juice squeezed out of the flower bud of Nandiavata Poo and pour two drops into each eye. The flowers are also used to treat eye heatiness. When your eyes turn red due to extreme heat, crush the flower and pour two drops into each eye. Make sure you do not use the milk. The juice will cool the eyes and eye redness will disappear. The milky juice of the leaves has anti-inflamatory action, so it is applied over the wounds. The juice of the flowers can be applied over eyes as eye drops for eye diseases. The flower juice can be mixed with oil and used as eye drops. 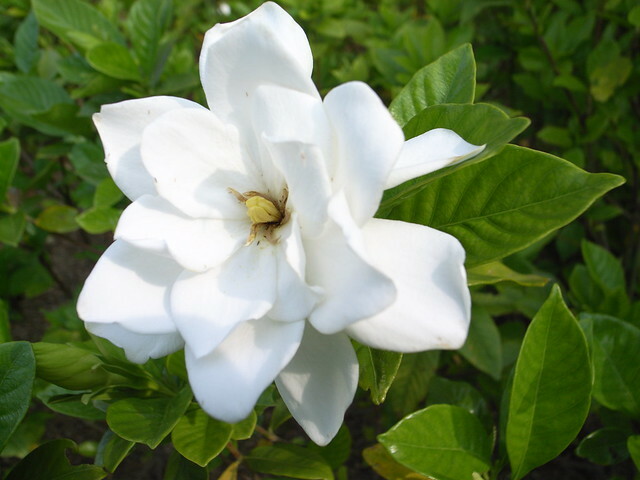 The flower juice mixed with oil can be applied over skin diseases. Decoction of the leaves is an anti-hypertensive and diuretic. The milky juice of the leaves along with oil is applied over the forehead for pain present in the eyes. The roots is an anodyne hence used to relieve toothache. The roots are ground along with water and given internally for intestinal worms. Where can get ths flower,?